Fibromyalgia syndrome affects the muscles and soft tissue of the body. Symptoms of fibromyalgia include chronic muscle pain, fatigue, sleep problems, and painful tender or trigger points. Although there is no cure for Fibromyalgia, there are treatment options that can help alleviate and control symptoms. 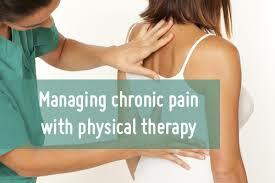 One possible option for treatment is Physical Therapy. Physical therapists can teach self-management skills to people with fibromyalgia that could help relieve pain and stiffness in everyday life. Skills and results will vary from person to person but may include techniques to help build strength, improve flexibility or improve endurance. Physical Therapists may also perform soft and deep tissue mobilization techniques and teach patients how to perform these techniques at home. Physical Therapy can also help fibromyalgia sufferers learn how to prevent painful flare-ups by guiding them to make practical decisions about daily and recreational activities.